At the start of WW2, the UK’s ground-to-air defence capability consisted mainly of gunners firing land or ship-based weapons at attacking planes. In these early days of the war, in the face of real-life air attacks, untrained AA gunners had been seen shutting their eyes and pulling the trigger – or even running away. By June 1940 in just over four weeks, enemy forces had occupied France. They now controlled most of Western Europe and their forces were massed just across the English Channel from the UK, seemingly poised to invade. The ‘miracle’ of the evacuation of some 300,000 British and allied troops from the beaches of Dunkirk appeared to offer the country a fighting chance to repel an invading force. However, the crushing defeat of the British Expeditionary Force (BEF) in France and Belgium suggested that some time would be needed for this army to recover and retrain if Britain was not to suffer the same fate as her near neighbours and allies, should the invasion happen. It is now known that the Adolf Hitler did authorise preparations and plans for an invasion of Britain, codenamed ‘Operation Sea Lion’. To proceed with any invasion plan though, the Nazis would need control of the skies above southern England and the English Channel. It fell to the famous ‘few’ of the Royal Air Force (RAF) to prevent such an eventuality. But control of the skies was not only about battles in the air. The Nazis needed to attack and, where possible, disable air bases and radar stations to attempt to destroy the RAF’s ability to operate effectively. They also had to nullify the threat of the powerful British Navy to help secure safe passage across the Channel. So it was that Royal Naval ships, dockyards, RAF bases and radar stations bore the brunt of the early enemy air attacks. 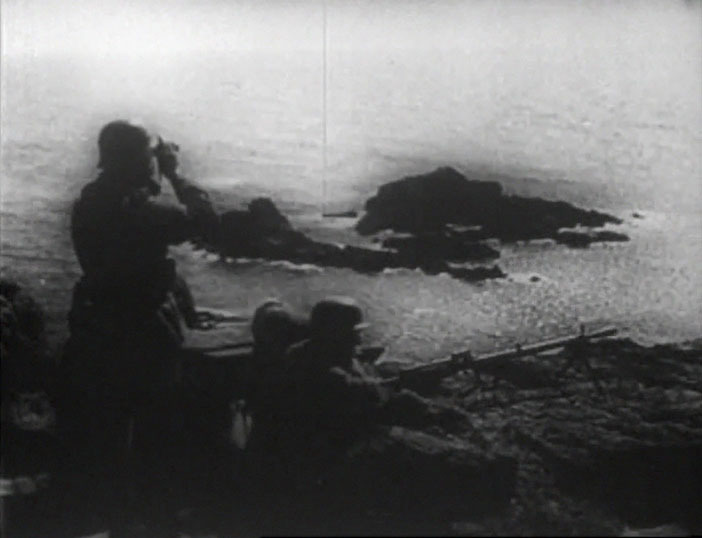 AA gunners in defensive positions at vital locations on the ground and onboard navy vessels would clearly have a very important role to play in this struggle. However if inexperienced AA gunners were proving ineffective against the Luftwaffe, with its fast and lethal dive-bombing Stuka aircraft for example, how could they properly combat this threat? If the country was to be effectively defended and invasion to be avoided, something had to be done. This is where a Naval officer, Henry Christian Stephen’s invention of the ‘Dome Teacher’ would prove so crucial. 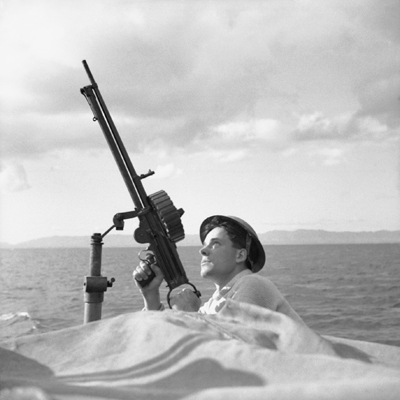 A Royal Navy AA gunner keeps a lookout for enemy planes. © IWM (E 10583). 1940 - Denmark, Norway, the Netherlands, Belgium and France all fell to the German invaders. The European coast was now in enemy hands. Image shown courtesy of Prelinger Archives. 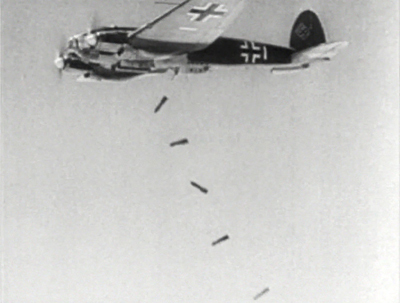 The German air force (Luftwaffe) began a sustained campaign to gain control in the sky and at sea. Image shown courtesy of Prelinger Archives.